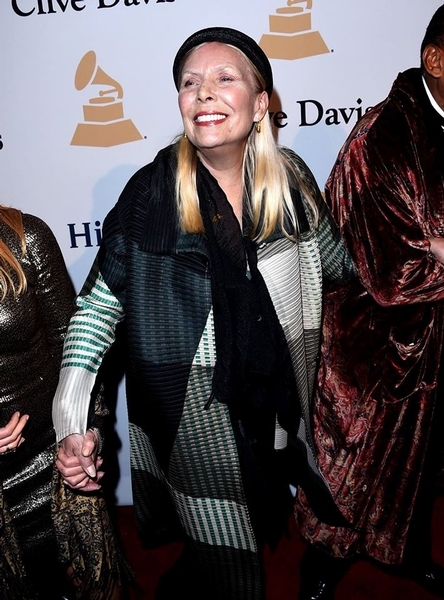 Always the starriest of the annual Grammy Week rituals, Clive Davis' pre-Grammy gala on Saturday trotted out acts both old and new - though the tastes of his guests clearly seemed to lean toward the former - as well as honoring Sony/ATV chairman Martin Bandier with the Recording Academy's Industry Icon award. Yet proceedings began on a rather somber note, with Magic Johnson urging the Beverly Hilton ballroom crowd to observe a moment of silence for Bobbi Kristina Brown, daughter of Whitney Houston and Bobby Brown, who remains in a coma after being discovered unconscious in a bathtub in Atlanta on Jan. 31. 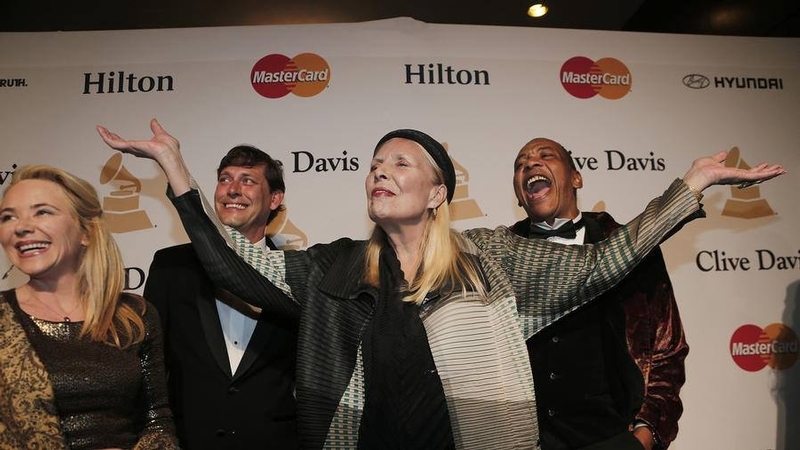 One of Davis' most storied proteges, Houston died under eerily similar circumstances just hours before the 2012 gala, and her death continues to cast something of a shadow over the event. While attendees ranged from politicos (Al Gore and Nancy Pelosi) to actors (Jane Fonda, Jon Voight, Jamie Foxx) and relevant corporate bigwigs (Apple's Tim Cook and Eddy Cue), the music industry had little trouble making its presence felt. 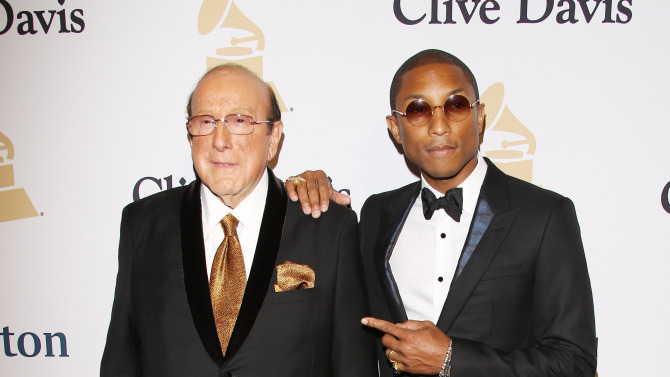 Execs such as Lucian Grainge, Doug Morris, Tom Corson and Irving Azoff were accounted for; veterans like Joni Mitchell and Berry Gordy held court; and nonperforming stars sitting at prime tables included Miley Cyrus, Beck, Barry Manilow, Common, Paula Abdul, Chris Brown and Taylor Swift, with the latter trailed at all times by an all-female posse that included two-thirds of best new artist Grammy nominees Haim. Honoree Bandier, the first music publishing exec to receive the Icon award, was first serenaded by Carole King and Pharrell Williams, then introduced via a roast-style video biography narrated by Bob Costas. "I'm not sure what part of that video actually paid tribute to me," Bandier quipped, before discussing how his childhood trips to the movies with his grandmother steered him toward a career in music, with the future publisher staying through the end credits to catch the songwriters' names. Leading Grammy nominee Sam Smith kicked proceedings off on a quiet note, running through jazz standard "My Funny Valentine" and his signature hit "Stay With Me" with solo piano accompaniment. Afterward, Rickey Minor and his versatile band took over, easily segueing from hip-hop to vintage soul and jazz throughout the night. Duets largely won the day, with Iggy Azalea bringing out Rita Ora and Jennifer Hudson, John Legend teaming with Meghan Trainor, and Smokey Robinson singing alongside Mary J. Blige. In the clearest illustration of the night's star power, Robinson recruited Miguel, Aloe Blacc and J.C. Chasez onstage to perform "My Girl," eventually handing the microphone to actor Foxx in the audience. After taking a verse, Foxx walked the mic over to Earth Wind & Fire's Philip Bailey - clearly surprised, Bailey nonetheless stood up at his seat, put a finger to his ear and sang his verse a full octave higher than any of the other five singers would have thought to attempt. Bailey was hardly the only old-timer to bring the house down. For the evening's most surprising booking, 79-year-old crooner Johnny Mathis emerged for a four-song set, getting standing ovations after both "Chances Are" and "It's Not for Me to Say." And to close out the festivities, the Bee Gees' Barry Gibb performed the group's 1967 classic "To Love Somebody" just as the clock struck midnight. This article has been viewed 2,591 times since being added on February 8, 2015.